Wig in Your Ear or Ear in Your Wig? 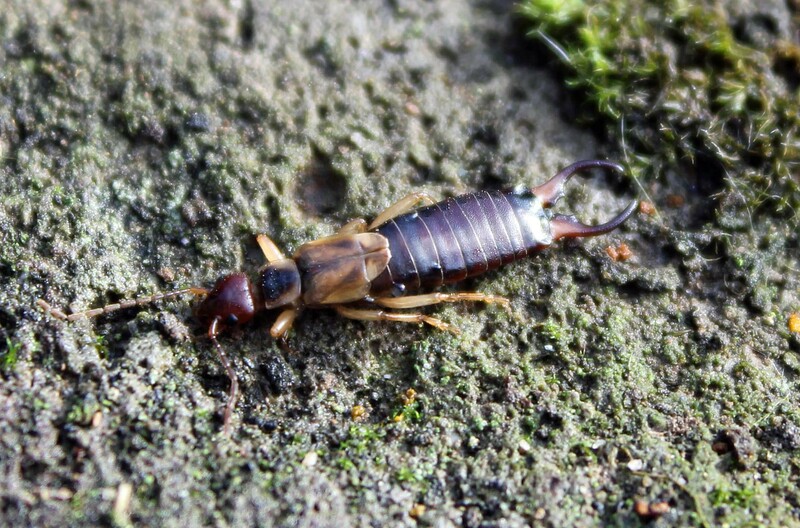 In this case a European Earwig, Forficula auricularia. Another gift from our European settlers but just one of several that inhabit North America out of the almost 2000 different species of the insect that populate the world. Apparently there was a superstition in the old country that these animals like to settle down in human ears. Well, they certainly like dark places and are known to inhabit human abodes – so who knows? Perhaps a human ear was handy from time to time. After all these superstitions start somewhere. 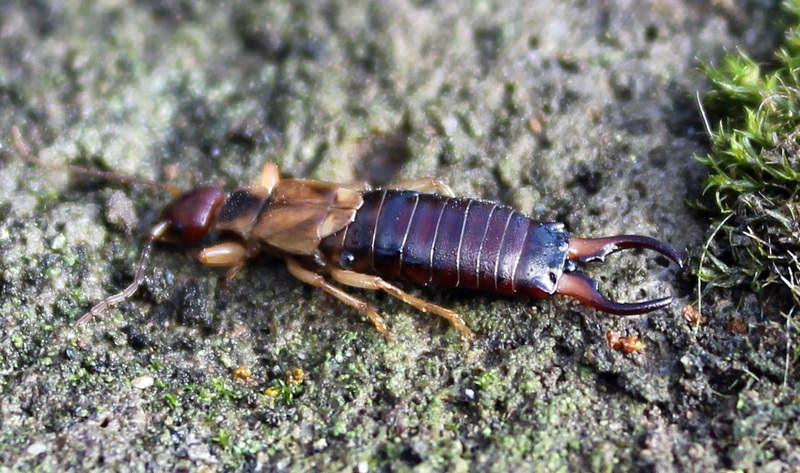 I’ve not seen any in my home or in my ears, nor have I heard of any such experiences, but I have found these fascinating arthropods under rocks and tree bark from time to time. 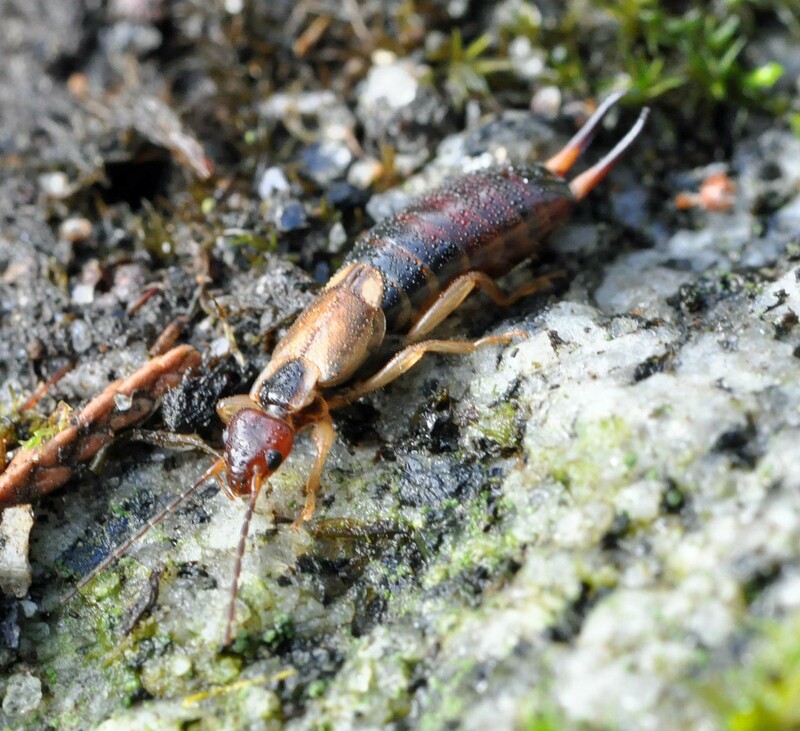 Male European earwigs are distinguished by the more curved pincers at the end of their abdomen. Females have a straighter, more streamlined pair. These appendages are useful in catching prey and to unfold the small wings near the head of the animal. 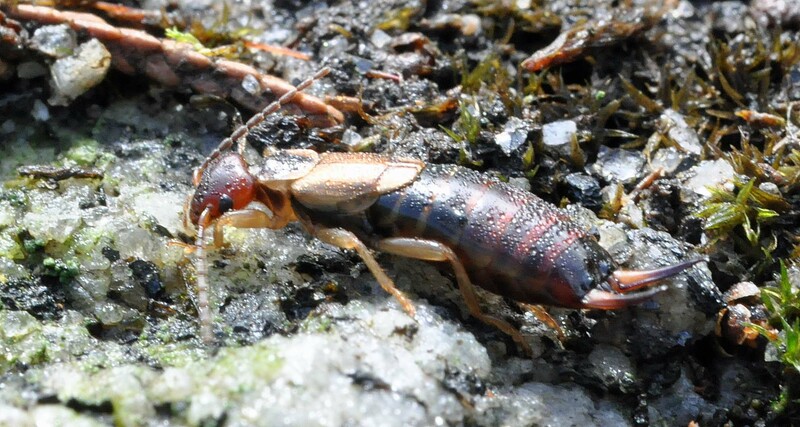 The jury seems to be out as to whether these insects are pest or friend. They enjoy a meal of vegetables but are quite adept at eating aphids as well. Your local gardener probably has a more informed opinion.